Miss Singh: CHRISTMAS TREES IN NEW YORK CITY! 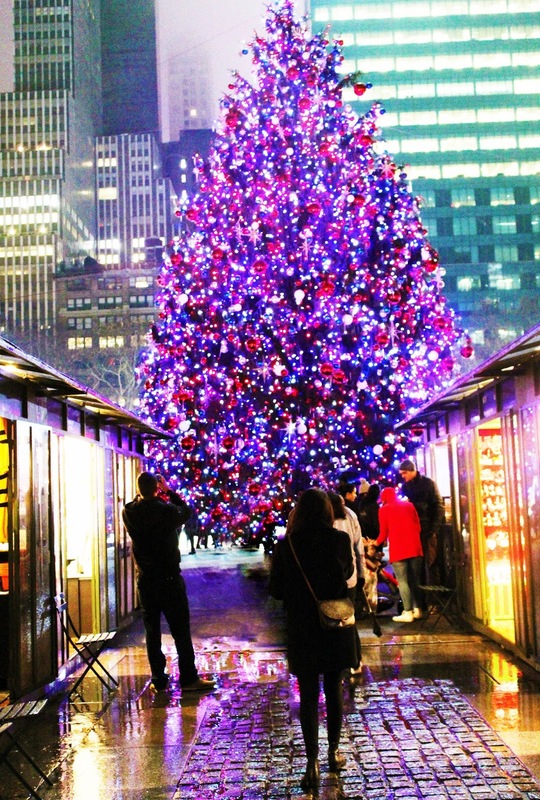 CHRISTMAS TREES IN NEW YORK CITY! I wasn’t planning to put this post up because I didn’t have a bunch of pictures from my New York trip. I was there for two weeks (including my Boston road trip), but I ended up spending time with my close ones and just wanted to relax, as it was my winter break from college. I spent Christmas as well as NYE there and luckily, I got the chance to go and see Christmas decorations and trees in the city. We went to Bryant Park and the Rockefeller Center. I has such an amazing time! The lights, Christmas shops, food and ice skating! I am so glad I got a chance to go! I hope you all had an amazing Christmas and New Year! I've always wanted to go to NY during Christmas time! I'm glad you had an amazing time! Christmas in New York must have been fabulous...the trees are just gorgeous!!! It was beautiful Nikita! :) Thanks for reading and enjoying! What a beautiful tree! I've never been to New York but I hear it's gorgeous during Christmas time! Jessica! Its beautiful! You should for sure go one day! :) Thanks for reading!